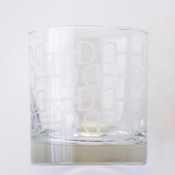 Understated and elegant, these rocks glasses are sure to make a statement at your next equestrian themed party. 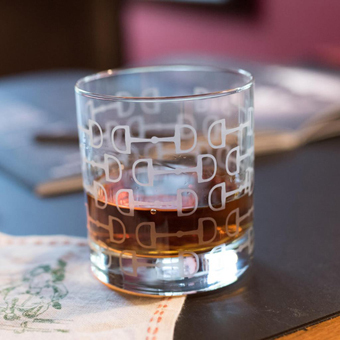 Depicting a hand-sketched snaffle bit print, the glasses are ideal for serving up classic Old Fashioneds or any other spirit on the rocks. 11 oz. capacity, and dishwasher safe. Sold as a set of 2.